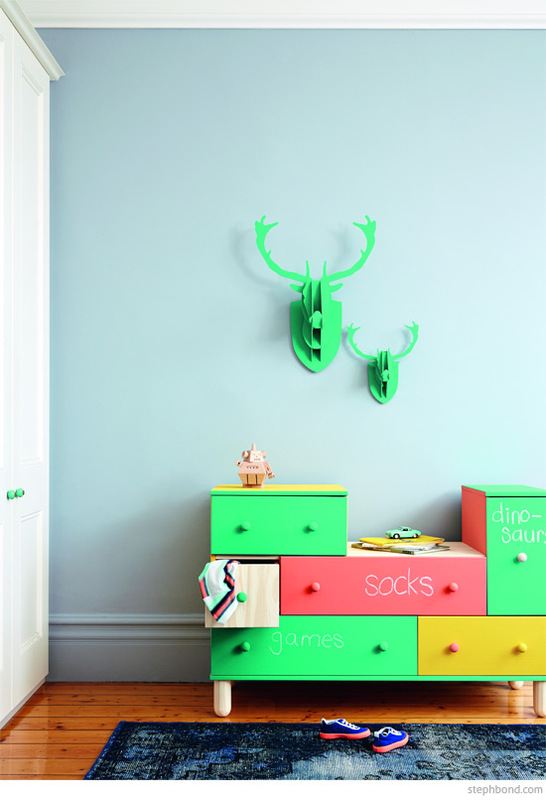 Dulux recently sent out 2014 colour trend info and I loved these two children's spaces that stylist Heather Nette King created. Yes, colour is big again this year, as well as the use of metallics as an accent and chalkboard paint. I've seen so many metallic gold decal walls recently - dots, bees, and more. This is a big trend! You can paint gold dots with a stencil like Heather did, or source gold decals. Indoor teepees are also here to stay. It must be so lovely to feel cocooned and cosy inside one, and it's a great place to chuck all the toys into when visitors drop in. You can update any chest of drawers by painting coloured panels. The chalkboard paint is a fun idea for labelling drawers. I also like that a few (but not all) of the knobs are painted with contrasting colours. Those cardboard deer heads are still popping up in all sorts of interiors too. I'm not hugely excited about the hunting reference, but they certainly add cool factor without harming a soul. Drawer paint colours: Dulux Design Chalkboard in Teal Trip, Annular and Sharp Yellow. 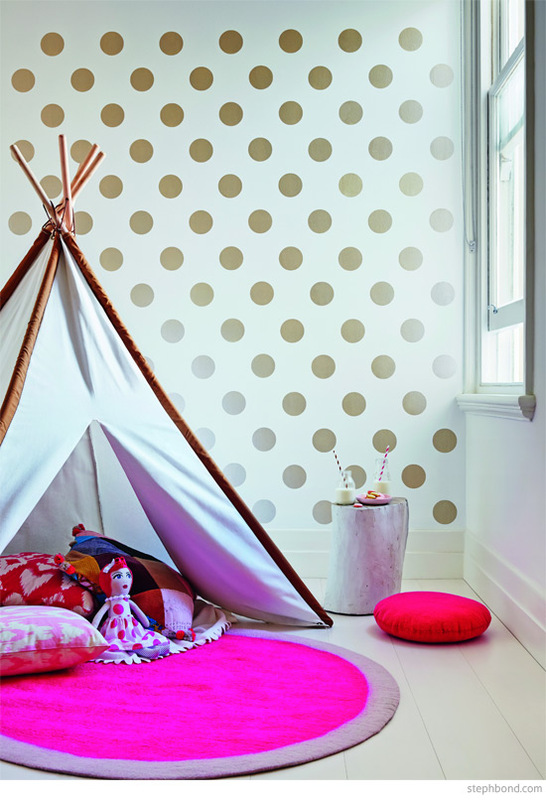 Would you try the gold wall dots, or painting your child's dresser?